Bastianina Campus was born in Italy, and has been living in New York City for more than a decade. She has been teaching Italian for many years both in a traditional classroom setting, as well as in online and other forums, such as individualized lessons. She is currently engaged by Time Warner teaching Italian at the Time Warner Center in New York City, as well as through video conference to its employees at Warner Bros., California. Some of her other clients include Time & Life, Inc., where she also teaches at the Time & Life Building in New York City. 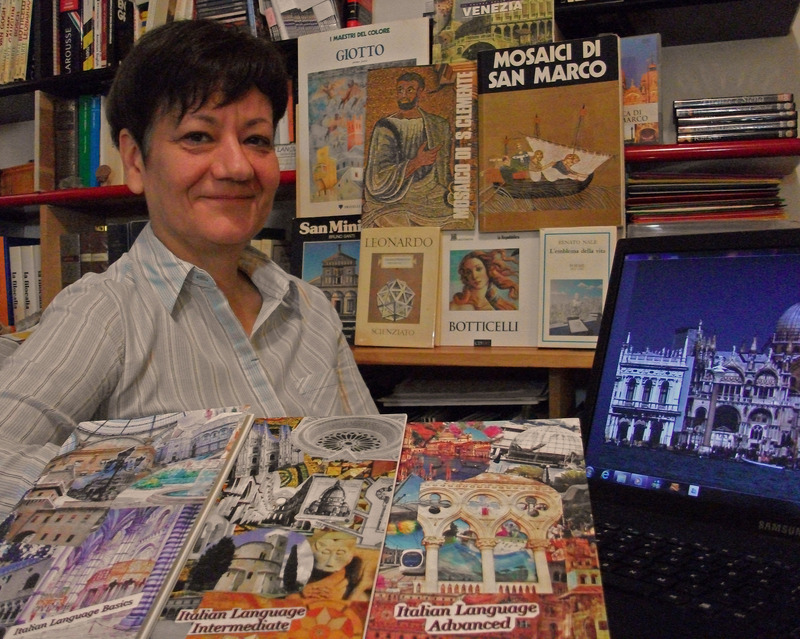 As the owner of a multi service printing and publishing company in Italy, her client list included major universities in Milan, Arezzo, Florence, Siena, Urbino, as well as corporations, government entities and private authors for whom she provided interpretation and translation services. Bastianina’s techniques are essential and effective, and students leave her classes speaking conversational Italian in a very short time.